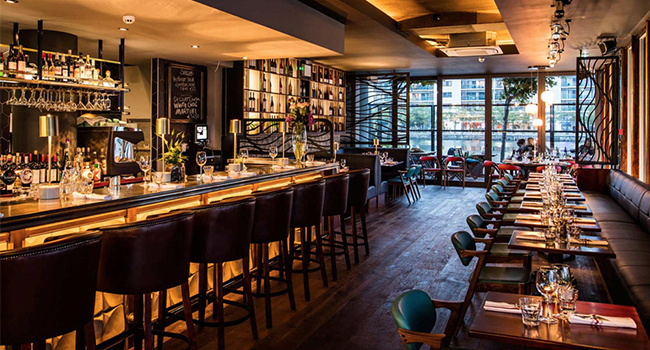 Situated in Dublin’s Grand Canal Dock, Charlotte Quay is the sister restaurant to the award-winning Coppinger Row restaurant, and has become a hugely popular venue in Dublin. With the choice of either relaxing in the restaurant, with stunning waterfront views, or some light-bites and drinks in the bar and heated waterside terrace, Charlotte Quay is a must-see in the cultural quarter that is Grand Canal Dock. Using the best locally sourced ingredients for both food and cocktails, Charlotte Quay is proud to be part of the local family in the docks. Exclusively on TheTaste Charlotte Quay is offering a 3 course dinner for 2 people and a bottle of wine for just €60.